Wowwwweee this combination is GENUIS! If I don’t say so myself. Not only is freaking delicious, but it gives you you’re a massive fibre hit with both Pear AND Ground Flaxseeds… which is sometimes just what you need in winter. 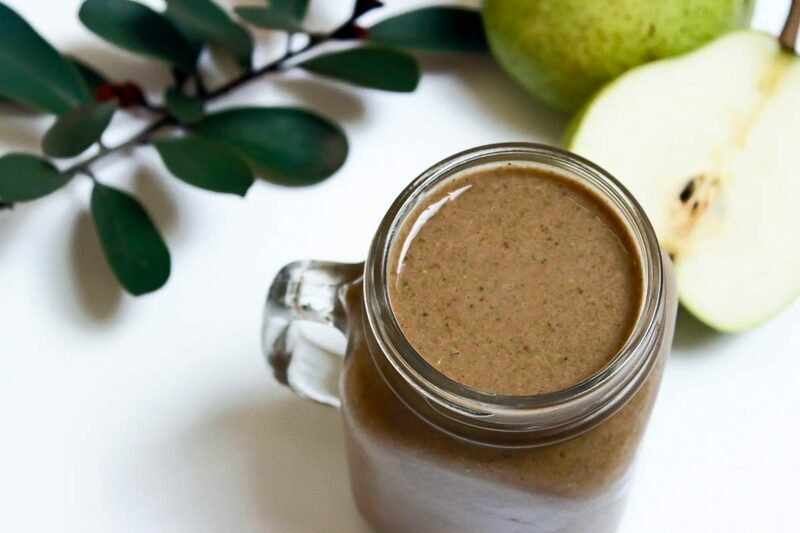 If you love Chai, you are going to fall madly in love with this winter smoothie. All the flavours balance so nicely, it is nice and sweet yet feels like a big hug in a cup. You could even warm your almond milk and have a warm nourishing smoothie. This one is def worth a try and will be on high rotate for your winter smoothies… trust me! Add all ingredients to your blender/Nutribullet, blend for 1minute and Wollah Chocolaty Chai goodness.